I couldn’t resist making some homemade cherry syrup. There are endless items to put this syrup on and I’ll be sharing some ideas with you and some more cherry recipes soon. 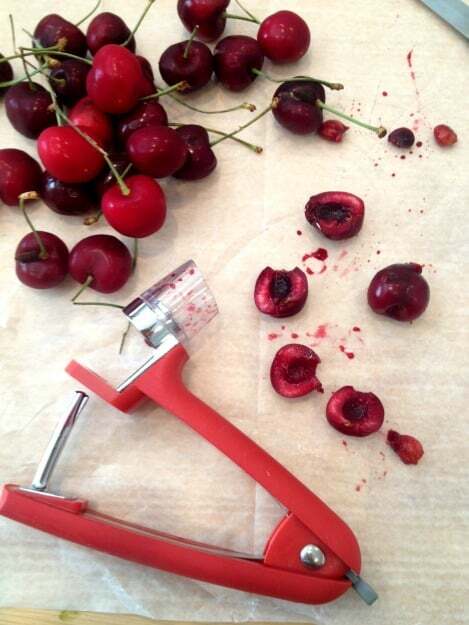 I measured a heaping cup of cherries and pitted them with my OXO Cherry Pitter, oh how I love this cherry pitter, it’s easy to use and in a few minutes all the cherries I need are pitted and ready to use in this recipe. I like the “splash guard” that this cherry pitter has it’s helps me from getting the cherry juice all over me when I’m pitting the cherries. 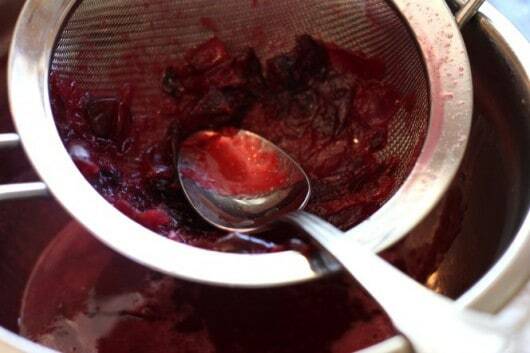 Bring 1 cup of water, 1 cup of sugar, and one cup of pitted and sliced cherries to a boil, simmer for 2 minutes. 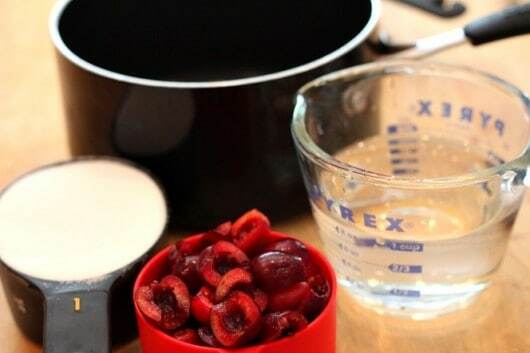 Strain the sauce and press on the cherries so that only the skin of the cherries remain and discard them. 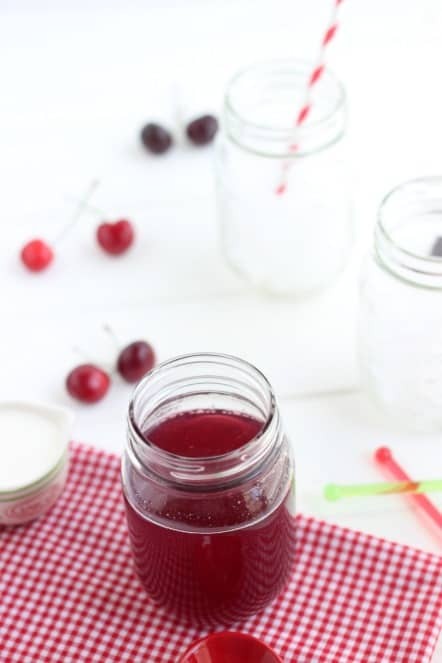 Pour the cherry syrup into a glass jar or container. The cherry syrup can be stored in the fridge for a month. 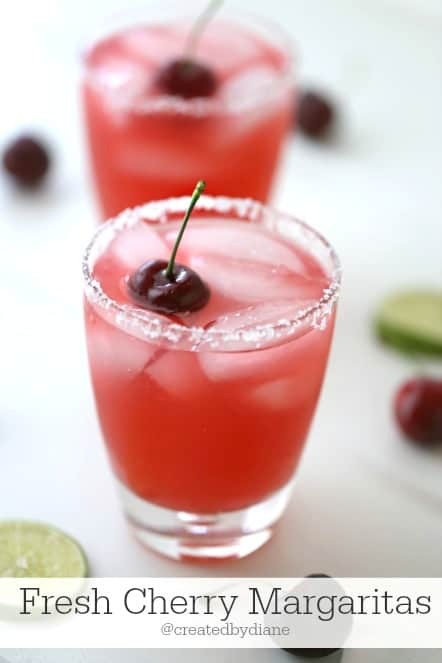 Cherry Margaritas are REALLY Delicious so give them a try! Simmer for 2 minutes giving the cherries a chance to soften and the flavor to release. Strain syrup in a fine strainer pressing the cherries though leaving just the skin on the cherries to discard. 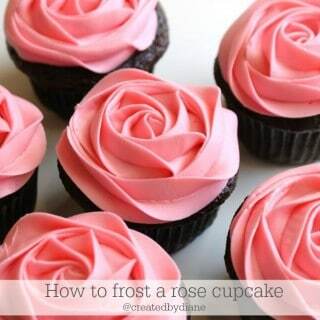 Place in a glass/plastic jar and store in the refrigerator for 4 weeks. 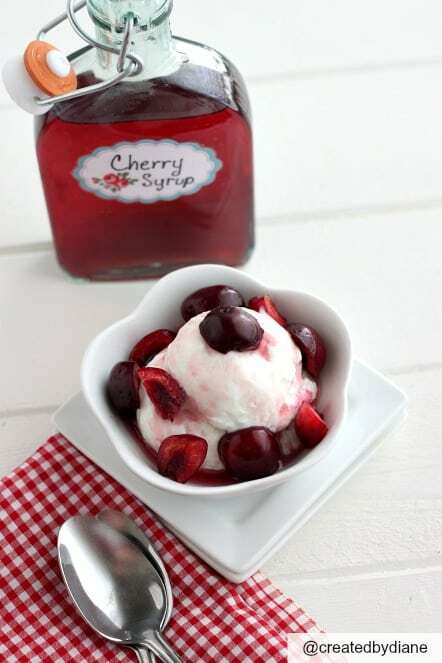 Cherry syrup is really delicious on ice cream, frozen yogurt or greek yogurt with fruit for breakfast….I’ve had all three and still can’t seem to decide which one I like better. 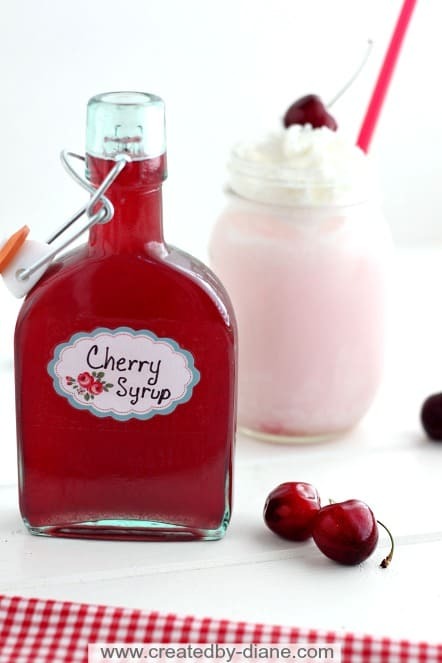 One of my favorite recipes to use this homemade cherry syrup is Cherry Italian Cream Soda. Let’s just say I’ve I’ve definitely made my fair share of them and I’m hooked on them! So be sure to check out that post, you won’t want to miss it. * I was not compensated to write this post, I just like sharing products I love. Oooh…. 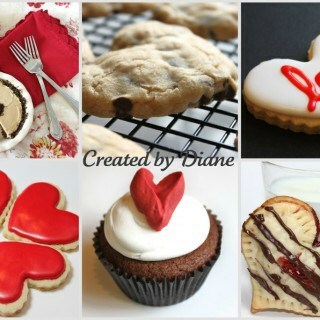 I have got to get some cherries and make this ASAP!! The soda sounds delicious and I am definitely thinking cocktails with this one!!! Maybe a modified Old Fashioned with cherry syrup, bitters, and bourbon? I love cherry season! This syrup sounds dreamy in that float! I am going to prepare this….a doubt, could i boil the whole cheries without removing the stones? The pit adds unwanted flavour. Easiest way is to just crush the cherries until the pit falls out. I was recently in Michigan where they have Cherry Republic stores – everything cherry – this looks so fun! i will be making this this summer and would like to make more than just one jar. could i double this recipe to make more and then also put it in a water bath so that it will store . just like making jam so to speak. also, im in canada, so what type of cherries are good. we get bings in the summer and then sour. but sour cherries cost alot here. i made a batch of pie filling for the first time and it was so so so good and the cherries cost me for ten pounds 45.00. i will do it again this year because i don t have a car and live on my own with no one to help me. when i ran out of food, i ate a jar of my filling and it was so good. 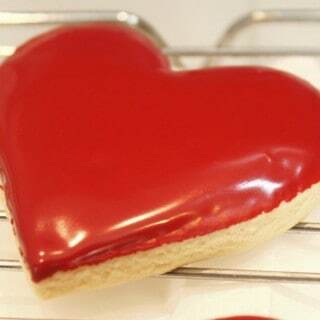 i have a great recipe thats not too sweet and uses clear jell. 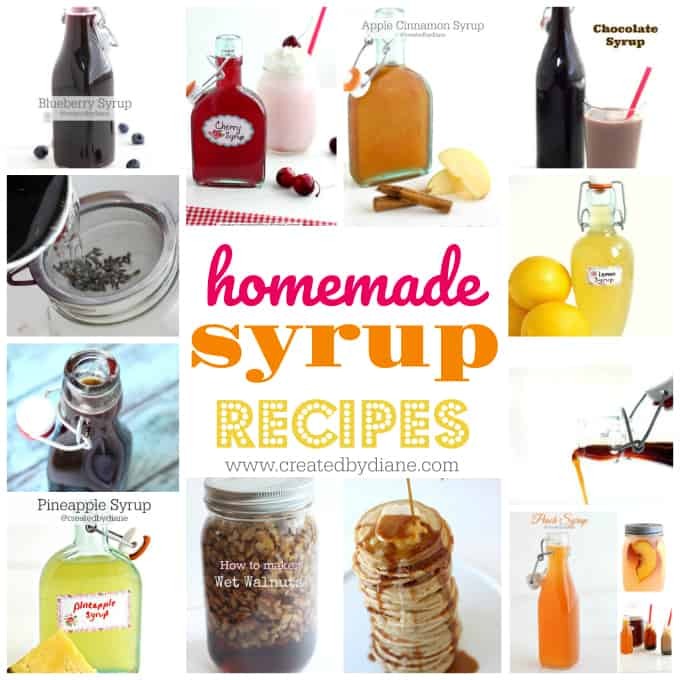 so id love to make some syrup of course. hope you can get back to me before summer………………….lol. 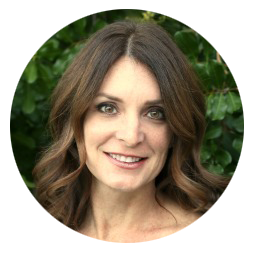 Hi Kari, yes you can double this recipe to make more (for every cup of cherries, use a cup of sugar and a cup of water) I didn’t try this with sour cherries, although I think it would be delicious. (But agree often they are expensive) I live in Southern California and cherries seem to be available in stores her about 9 mo out of the year, Jan-Sept. These are sweet cherries. And yes it sure would make a fun gift idea too! I love homemade gifts and this one is so pretty too. I don’t do any canning, but if you are familiar with it, I’m sure you would be able to can/bottle the syrup to last longer. just a thought………………for a great gift. 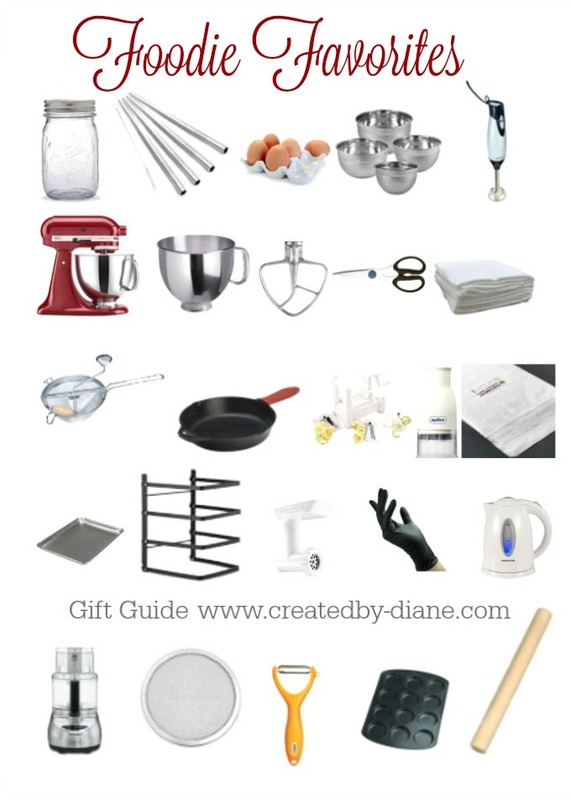 give a bottle of syrup, two old fashioned tall glasses, get some of those red and white paper straws on etsy, bottle of club soda, a fun basket that is tall or rectangle and line it with red and white checkerboard cloth, and then make some homemade potato chips and put in a paper bag . a big red bow on this and i cant see how anyone getting this wouldnt say………..wow, this is amazing. and you did it all on your own. no store was involved but a great idea. I’m thinking a bit of this in champagne would make an incredible cocktail! 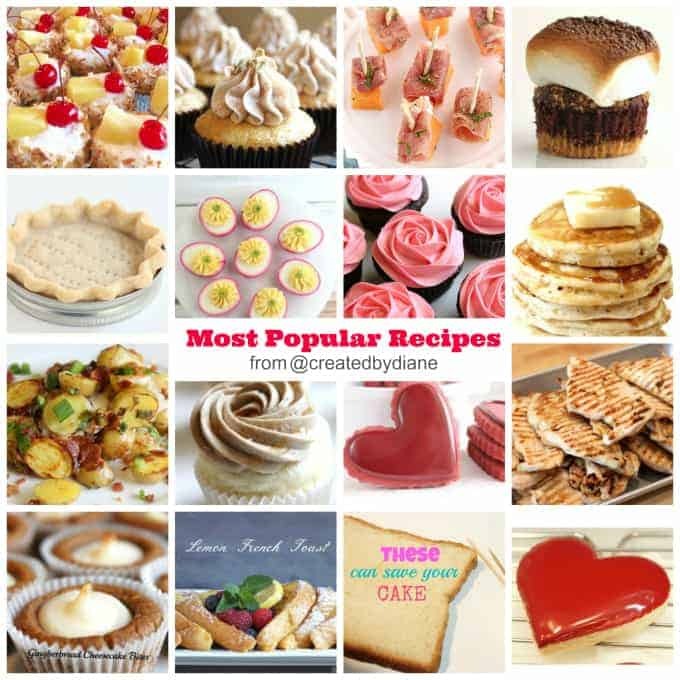 LOVE this and it’s especially wonderful because it’s homemade with sugar and contains no corn syrup which almost all store-bought syrups have (not to mention no real cherries)! It’s so pretty and would be a lovely gift, too! 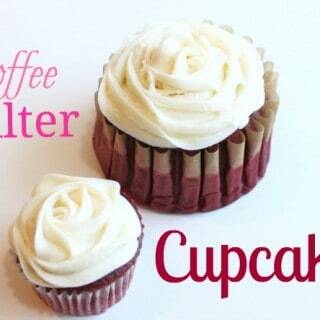 Putting this on my “to make” list! I just wanted to ask would this be suitable for freezing? At Christmas I love Black Forest Hot Chocolates but cherries if available will not be cheap at that time of year. I would freeze pitted cherries and make the syrup when you plan on using it. Cherries freeze well, wash, dry, pit, then put in zipper plastic bag and remove excess air. I tried to make the cherry syrup this afternoon but it wasn’t really like syrup. Really thin. Did I do something wrong. I did use the amount of ingredients in the recipe. It’s not an overly thick syrup, it has the consistency of maple syrup, not chocolate syrup, it will thicken more as it refrigerated but if you really want it thicker reboil it with more sugar start with 1/2 cup.